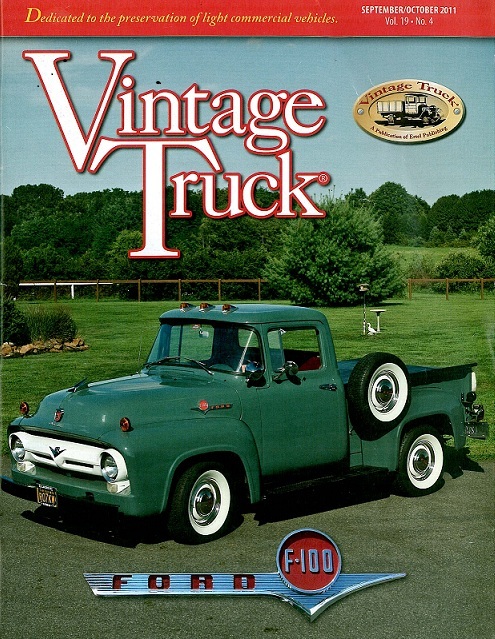 One of the member libraries of the Shortgrass Library System, the Brooks Public Library, subscribes to a wonderful magazine called Vintage Truck. The cover of the September / October 2011 issue is featured to the left. 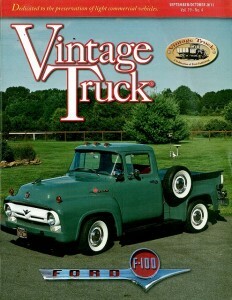 Vintage Truck is full of beautiful photography, great in-depth articles on repairing and restoring old trucks and detailed historical articles on various types of trucks, from pickups to panel vans to heavy duty trucks. One of the articles in the September / October 2011 issue discussed a class project at McPherson College, the only school in the United States to offer a baccalaureate degree in auto restoration. This class project restored a 1929 Ford Model A station wagon (a ‘woodie wagon’). As a fan of old cars in general and woodies in particular, knowing that someone has published blueprints for rebuilding woodies made my day. The Old Woodies website seems to have a lot of good information about woodies and their care. On their site they have a Woodie Resource Directory that features contact information for dealers and vendors of woodies, professional restorers of woodies, clubs for fans of woodies, and even a listing of terminology about woodies. The site even offers a gallery of photos of woodies from around the world. Here are some books about woodies that might be of interest. This entry was posted in History, Public Libraries and tagged blueprints, Brooks Public Library, McPherson College, old cars, old trucks, restoration, Vintage Truck magazine. Bookmark the permalink. I don’t have blueprints for woodies. You may try contacting Tim Johnstone of Woody Wagons. His mailing address is: P. O. Box 341, McAllen, TX 78505. That is where the class at McPherson College got the blueprints for the body parts and fixtures for their restoration of their 1929 Ford Model A station wagon. Can someone design Woodie Decals for my 2007 Lincoln MKX Suv sides and tailgate to make it a Woodie “Wannabe”? Off hand, I don’t know anyone who has precut sets of Woodie Decals for your vehicle. Some generic woodie decals are available (such as on this site http://www.hotrodworks.net/decal/woodiekit1.html), although I don’t think these are what you’re looking for. What appears to be good looking wood grain vinyl material is available here http://www.stripeman.com/woodgrain-decal.htm (including styles that were used on Ford Country Squire station wagons). I’d suggest is that you contact a business in your community that does vehicle wraps or vinyl signage and see what they could do for you. When you Lincoln is sporting its woodie look, please send some photos. I’d be happy to post them. You may try contacting Tim Johnstone of Woody Wagons. His mailing address is: P. O. Box 341, McAllen, TX 78505. I don’t know if he has blue prints for a 1934 Ford Woody. However, the class at McPherson College got their blueprints for the body parts and fixtures for their restoration of their 1929 Ford Model A station wagon from him. Mr. Johnstone does not have a website, a phone number, or email address that I have been able to find. The only way to contact him, that I know of, is through writing him at the address provided. Good luck and please let me know how your search for plans turns out.